concierge@mhbr.com to assist with planning your itinerary and to book exciting excursions. Explore the historic downtown Hollywood area aboard an old-fashioned Trolley. For just $1, explore nature and oceanfront dining in North Beach and shopping/recreation in Central and South Beach. Margaritaville Hollywood Beach Resort will provide a convenient on-site Trolley stop on Johnson Street. Weave along the Intracoastal Waterway aboard Fort Lauderdale/Hollywood renowned water taxi, seeing firsthand why this sunny destination is called the “Venice of the Americas.” A convenient on-site Water Taxi stop at the 5 o’Clock Somewhere Bar & Grill provides access to Las Olas, Galleria Mall and exciting dining, shopping and entertainment venues. An Italian estate built in the subtropical setting of Miami; Vizcaya is one of the most magnificent museums to visit in the United States. It was built as the private winter home of American businessman James Deering in the early 1900s. 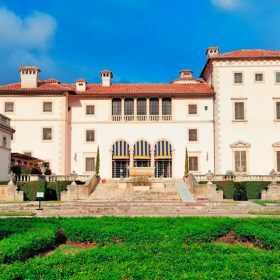 Open year round, Vizcaya features an architecturally significant Main House with 34 decorated rooms, ten acres of formal gardens and diverse collections including European antiquities, American art commissioned in the 1900s and century-old plants. The estate is unusual for retaining so much of its original character, configuration and collections. Featuring 10 acres of lush green space, jogging grounds, a children’s play area and interactive fountain, this revolutionary park is an ideal area to unwind, soak in the sun and enjoy a relaxing picnic. Interested in getting in touch with your artistic side? Take in Hollywood’s contemporary exhibitions, live stage performances and educational workshops. Overlooking the New River in downtown Fort Lauderdale, this premier performing arts venue hosts Broadway musicals, operas, ballets, concerts, plays, multi-cultural performances, lectures, workshops and educational events. Nestled among miles of beachfront development are 35 acres of a pristine barrier island ecosystem. The Main House is filled with a collection of art and the personal treasures of the Birch/Bartlett families. With more than 1,500-acres of mangroves, take a boat ride on one of the five trails within this incredible nature preserve. You may even spot an endangered species! A wildlife preserve and theme park situated on 29 acres of wetlands, this park is the closest entry point to our resort to the largest subtropical wilderness in the United States, Everglades National Park – which protects an unparalleled landscape that provides important habitat for numerous rare and endangered species. 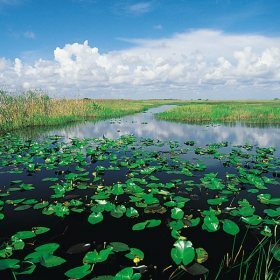 A 40-minute drive from the resort, it is a worthwhile trip for nature lovers or anyone who wants to see the Florida Everglades. Bicycle Tours – Enjoy a guided tour through mazes of history, fun FAQ and culture. Checkout the posh boutiques along this busy shopping and dining boulevard, and people watch at a quaint street-side cafe. From Abercrombie to Zales, The Galleria at Fort Lauderdale is the premier shopping destination for anyone and everyone. 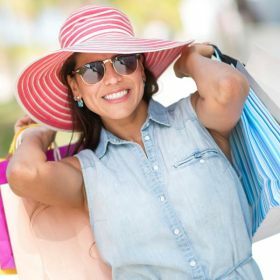 North America’s largest outlet mall with more than 400 retailers including full service-restaurants, entertainment venues and internationally recognized stores and the most sought after luxury outlets. Filled with restaurants, shops, galleries, horse racing and a casino, The Village at Gulfstream Park is the ideal all-day hangout with options for the whole family. If you are looking for luxury at its finest, look no further than Bal Harbour Shops’ exquisite collection of designer boutiques and restaurants. The BB&T Center is the preeminent sports and entertainment venue in Florida, and among the best in the world. Hosting more 200 events annually including Florida Panthers hockey, the BB&T Center annually ranks among the top 10 venues in the United States. Home of the Miami Dolphins National Football League team and the University of Miami Hurricanes football team, Hard Rock Stadium also hosts the Orange Bowl, an annual college football bowl game. Take me out to the ballgame! Home of the Miami Marlins, the Marlins Park is a unique and vivid baseball park located in Miami about 20 miles from the resort. The 37,000-seat Major League Baseball facility includes a retractable roof to keep you cool and dry all summer long. To enhance your baseball experience, Miami-style, the Clevelander, a South Beach-themed nightclub and pool area offers the energy and excitement to keep you going all through the night! Marlins Park is truly the best way to experience baseball in South Florida! Home of the Miami Heat, the AmericanAirlines Arena is one of the nation’s premier facilities in sports and entertainment and a center of activity in South Florida. Located in Downtown Miami on the waterfront of Biscayne Bay, the Arena is positioned between the skyline of the city, the beautiful beaches and the nightlife of South Beach. 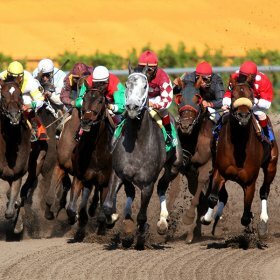 There is plenty to do with horse racing and casino gaming, restaurants, shops, galleries, and entertainment. Win big in the 130,000 – square-foot casino, with slot machines, table games and poker room, shops, dining and entertainment. Open 24 hours daily. Enjoy greyhound racing, gaming, dining and entertainment. Enjoy the action of Las Vegas and the vibe of South Florida with 900 Las Vegas style slot machines, Blackjack, Roulette and Craps. There is a shuttle service available with pick-up and drop-off outside the resort for which our concierge team will be able to provide information upon request. This is the closest you will get to Las Vegas without leaving your backyard! 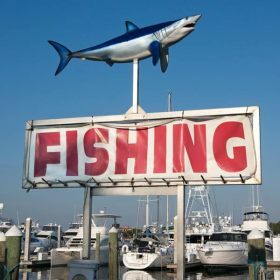 With so many miles of waterfront, the Hollywood Fort Lauderdale Area is fishing paradise for serious anglers or casual fishermen just looking for a day of relaxation on the water. A great activity for corporate outings, family reunions or pre-wedding festivities, this is a welcome addition to a vacation or business event. Beginner or experienced sailors will find challenging and fun sailing experiences from sailing on North Lake to sailing in Catamarans in the ocean. 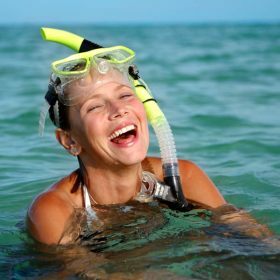 If you are a fan of snorkeling or scuba diving, add a morning or afternoon of off-shore diving in the turquoise waters of Greater Fort Lauderdale to your itinerary. More than a dozen beaches along the Broward County coastline permit surf fishing. Check the myfwc.com for fishing license requirements. If your idea of enjoying the water is hopping on a boat, grabbing a cool beverage and then relaxing while the captain tours you around to see the sights and scenery, you will find a wide variety of touring experiences in the area.